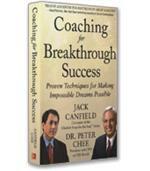 Modern Mentoring offers a blueprint for success with a model that benefits more than the select few and steers clear of forcing connections between people. Author Emelo demonstrates that a culture in which people choose what they want to learn and whom they learn from, while increasing overall organizational intelligence, is completely within reach. 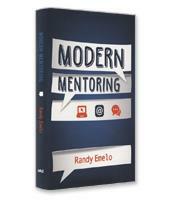 Unfortunately, according to Randy Emelo, most mentoring relationships today are obsolete. 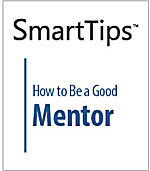 Traditional mentoring, he writes in his book Modern Mentoring, does not truly meet the needs of the modern organization. The reason, as he explains, is that “the purpose of mentoring has moved away from getting a handful of people ready for leadership roles.” Instead, mentoring according to Emelo, is an organizational practice that should increase an organization’s intelligence, including emotional, leadership and technical intelligence; enhance the organization’s competitiveness; and “accelerate” employee development. In other words, the traditional approach to mentoring, focusing on a few select individuals, should be replaced by an approach that is much broader and inclusive, he writes. Instead of mentors only consisting of top leaders, and mentees consisting of high-potential employees, mentors and mentees can be anyone in the organization, at any level. The connections of modern mentoring are no longer one-to-one, Emelo writes, but many-to-many. Diversity. The diversity in question involves different perspectives coming from different functional, geographical, hierarchical or generational backgrounds and experiences. These different perspectives are valuable in helping mentors develop innovative solutions for the people they are mentoring. Virtual and Asynchronous. In traditional face-to-face, one-on-one mentoring, advisors and learners made arrangements to meet. Such arrangements are no longer necessary, given today’s technology, nor even logistically effective given the broad “many-to-many” reach of modern mentoring. Thus mentoring sessions, writes Emelo, are more likely to be virtual as well as asynchronous — that is, the teaching and learning do not have to occur in the same window of time. Mentors can share their knowledge and experience through virtual communication, which is then captured at the learner’s convenience. Modern mentoring as described by Emelo is a significant change from traditional mentoring, and therefore often requires a significant and perhaps difficult culture change in an organization. Leaders used to the traditional methods will need to be “reeducated,” Emelo writes. Another challenge is the vital role of trust. Today’s virtual capabilities allow long-distance mentoring but hinder trust-building. 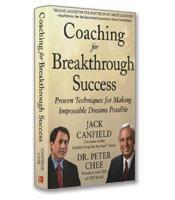 Emelo includes guidelines for trust building and many other facets of modern mentoring in this eloquent and compelling addition to the personal development literature.